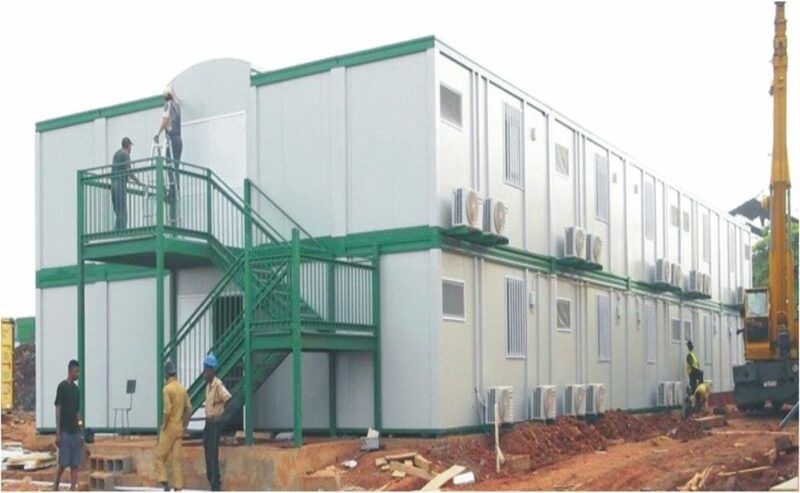 Atlas Italia Nigeria Ltd, a prominent Porta Cabin fabrication company based in Nigeria reaffirms its brand promises to offer missing links in manufacturing of Porta Cabins in Nigeria and give Nigerians world-class Prefab Buildings. Atlas Italia Nigeria Ltd is offering a diverse range of goods for various niches such as portable mobile toilets, residential buildings and commercial complexes. Furthermore, they are providing camps for numerous companies, chapels as well as corporate entities. They claim to be one of the authentic and trustworthy distributors of Port Cabin supplies. Atlas Italia Nigeria Ltd. Caters to the needs of companies who are actively involved in the field of manufacturing and trading of Factory sheds, toilets and structures and booths along with Portable Cabins. Each productis produced using state-of-the-art machines, tools and resources. Atlas Italia Nigeria Ltd. incorporates latest technology to produce cold rooms that meet the company standards. Walk-in-cooler and Warehouse Cold Storage are some of the unique products manufactured by the company. The cold rooms are exclusively designed to freeze and chill various applications in the food processing, Hotels, Pharmaceuticals, Research and Development companies along with Fisheries department. Porta Cabin experts in the organization are capable of creating porta cabins in numerous capacities. There are pre-fabricated panels available at Atlas Italia Nigeria Ltd which can be easily installed. The CEO of the company stated that ‘Atlas Italia Nigeria Ltd’ is the only top Porta Cabin builder located across Lagos Nigeria’. They currently belong to the list of most advanced Portable Cabin Suppliers in and around Nigeria. They claim to provide only superior quality products. Atlas Italia Nigeria Ltd. is recognized as one of the top manufacturers and suppliers of superior quality Portable cabin and structures. A third party company does have the option to order pre-fabricated structures and Porta Cabins from any corner of Nigeria. They can take advantage of the benefits coupled with top-notch customer services offered by the Atlas Italia Nigeria Ltd. The products are readily available in different sizes and shapes. The cabins manufactured by Atlas Italia Nigeria Ltd. are unique and best known for longevity, easy assembling and impervious to harsh climatic conditions. Atlas Italia Nigeria Ltd. opened its doors to the public back in the year 2008 in joint collaboration with Atlas Italia Company headquartered at Italy. Their service is formulated meeting the needs and demands of the prospective customers and third party companies located across the globe. Some of the products such as refrigerators and household appliances produced are affordable without hampering its overall performance thereby guaranteeing longevity. They are also dealing with the manufacture of condensing equipments, air compressors, water chiller, oil and similar spare parts. The product specifications along with its benefits are clearly mentioned in the website of Atlas Italia Nigeria Ltd.
Atlas Italia Nigeria Ltd. produces superior quality materials by using state-of-the art technology. A 24/7 customer service is also available. For more information, the interested customers may visit the official website of Atlas Italia Nigeria.